We’ve all heard of WordPress, right? But did you know that WordPress is a Content Management System (“CMS”)? WordPress has come a long way since its inception in 2001 and it is now the foremost used blogging software platform across the web. But what CMS’s are available to you and which is the best choice for your website? Definitely the most famous, WordPress is a popular option for blogs, businesses and eCommerce sites. We use WordPress for a lot of our clients’websites because it has become extremely versatile and is regularly updated. We are able to develop themesthat display as the front-end of the website that include a fountain of functionality. WordPress, like most other CMS’s, is open-source, which means that the source code is available to anyone to make changes and edits. This makes it accessible to developers all over the world who are interested in improving and developing the platform. It also makes it vulnerable to hackers! A popular choice for eCommerce sites. Magento has been developed specifically to offer an exhaustible list of possibilities for online shops. Developers can integrate commercial database platforms used in retail stores, for example, with the Magento back-end to take a live stock count, update inventory, calculate reports and keep track of sales. There’s no end to the plethora of possibilities Magento has to offer the world of online shopping and we highly recommend this CMS for eCommerce stores! Once the foremost choice for corporate business websites, Joomla! has seen better days. WordPress has improved in functionality above and beyond the capabilities of Joomla! and it seems be struggling to keep up. Still a reliable system but much less user-friendly than WordPress. Whilst these open-source CMS choices might be free to download, installation can be a time consuming process for the first-timer and we recommend seeking advice from a professional. Once installed, your CMS will not look like much to your visitors without a theme or template. There are some available for download or purchase but they wont typically cover all of your design and functionality requirements. A professional web design agency will be able to design, develop and style a custom theme for your chosen CMS to suit your branding and services. 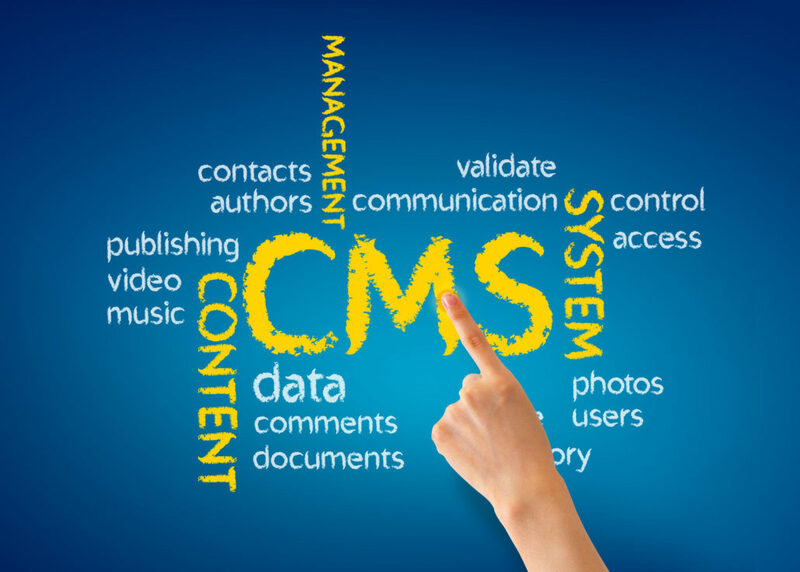 An open-source CMS is often a great choice for any business, but there are times when a custom developed CMS is the right tool. You may have very specific functionality requirements that open-source systems cannot achieve, or highly sensitive data that must be secured with an air-tight system. That’s when a custom CMS would be the right choice for your business. Still not sure what’s right for you? Contact Us for a FREE 1 hour consultation! 5 Ways To Secure Your Website Why is it important to Update WordPress, Plugins, and Themes?